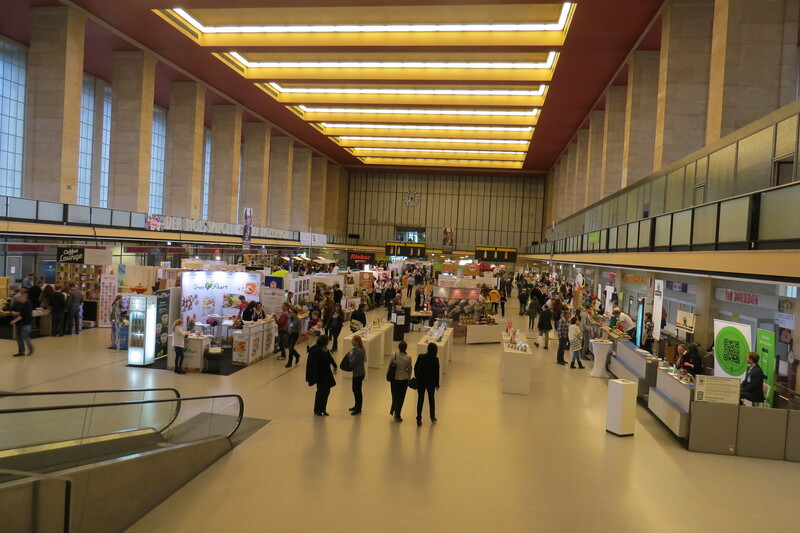 Last Sunday, Next Organic 2015 took place in the terminal hall of Berlin’s now defunct Tempelhof airport. 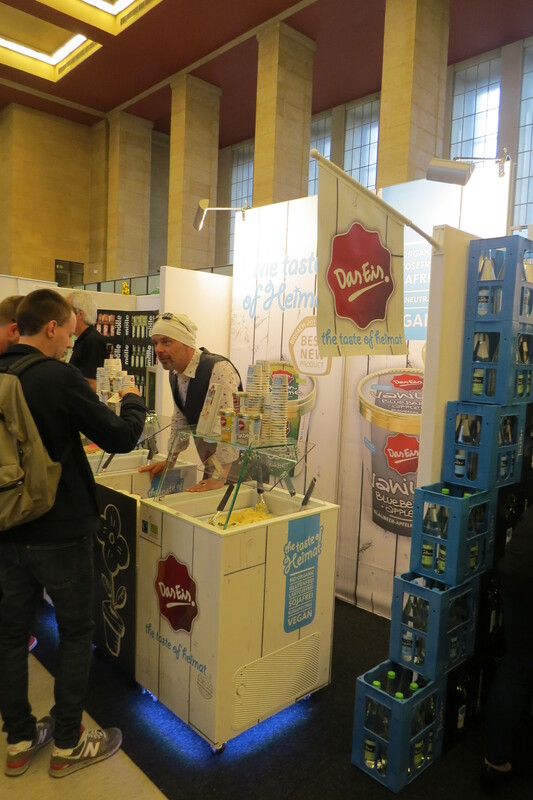 I’d been to last year’s trade show and loved it – read the 2014 blog article here – so I was very excited when 10th May finally rolled around! Although Next Organic is smaller than, for example, regional organic show BioOst it is also a great deal more exciting. Probably because Next Organic focuses strongly on culinary and food trends and has a much more local flavour. 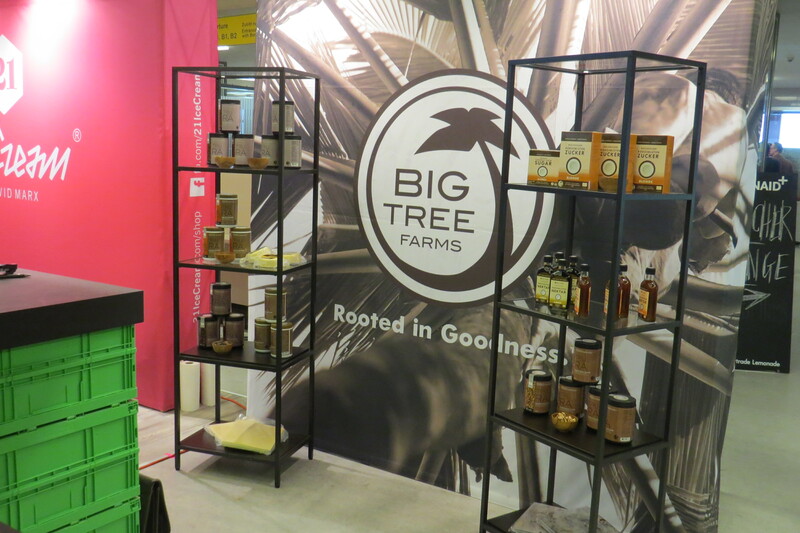 Next Organic is a show-case for eco-social, ethical, organic and sustainable food brands, companies and initiatives, with an emphasis on local businesses. The exhibitors are primarily niche brands and small artisan labels from Berlin and environs. Each year, the trade show hosts a Start-Up competition for young and innovative companies and there are tastings (topics included coffee cherry roasting, organic wine, superfoods and raw food), guided tours and live cookery demonstrations. This year, Next Organic also featured an event organised by the Food Entrepreneurs Club (FEC), a rather cool network for young culinary labels and companies – check out their website. In fact, Next Organic feels less like a trade show (loud, overwhelming and exhausting) and more like a carefully curated professional event. Each Next Organic has special focus topics. 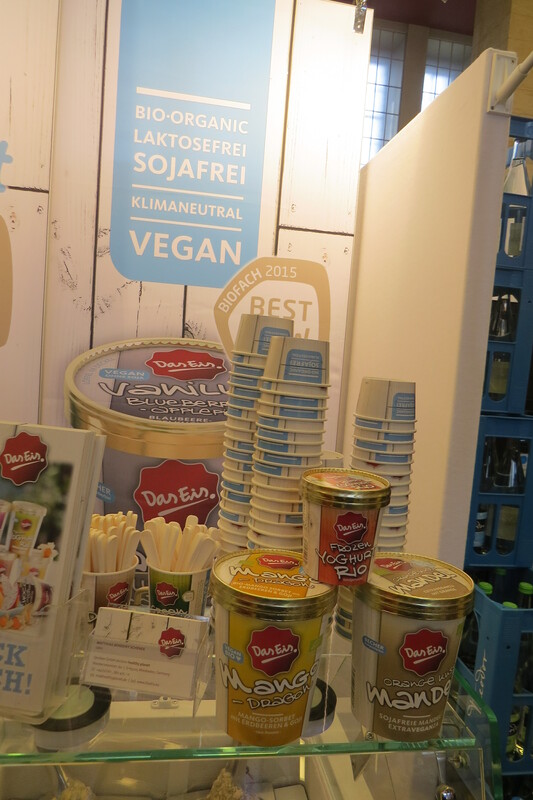 In 2014, one of the main themes was Vegan (today Vegan is already almost become part of the mainstream, at least here in Berlin). This year’s core topics included Raw Food, Meat and the “From Farm to Kitchen” concept of local food producer cooperatives. And now, without further ado and in no particular order, here is a run-down of my favourite exhibitors! 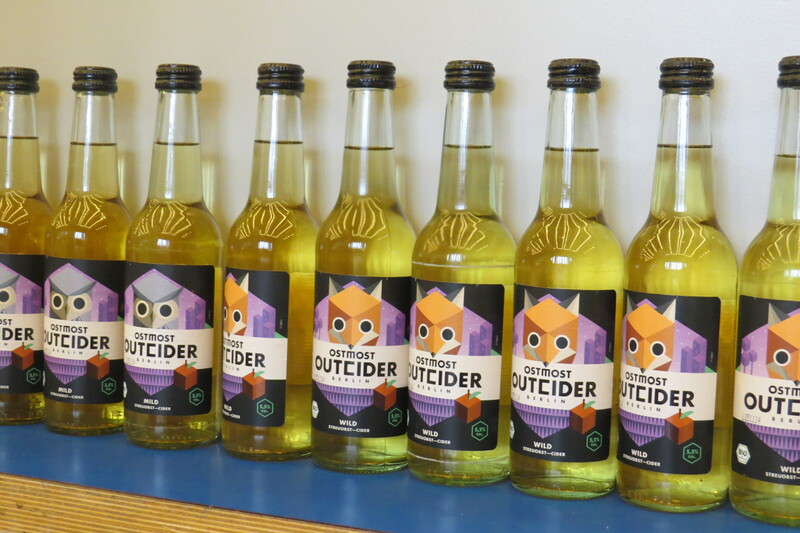 A few of the brands I’d heard from before – like honey brand Kaiserhonig or Berlin-based cider company Ostmost – but most were completely new to me. Let’s start with Geiles Gebäck! Now, this name could be roughly translated as “Awesome Cakes”; in German, however, the adjective “geil” is a tad more, well, suggestive. Especially when combined with the innocent-sounding “Gebäck”. Believe me, if you can read German this brand name will grab your attention. At the trade show it certainly stopped many people in its tracks. 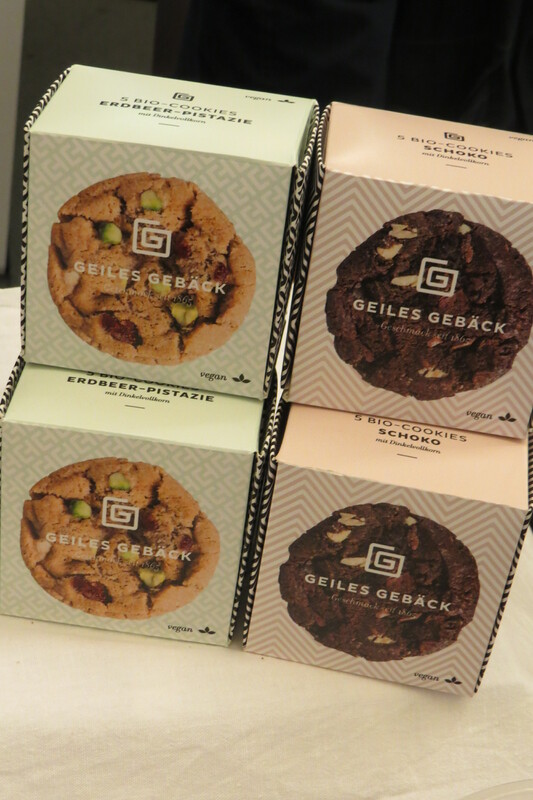 Geiles Gebäck is a new organic bakery brand which belongs to parent company Fallersleber Backwaren Manufaktur (FBM) and was launched on the occasion of Next Organic. 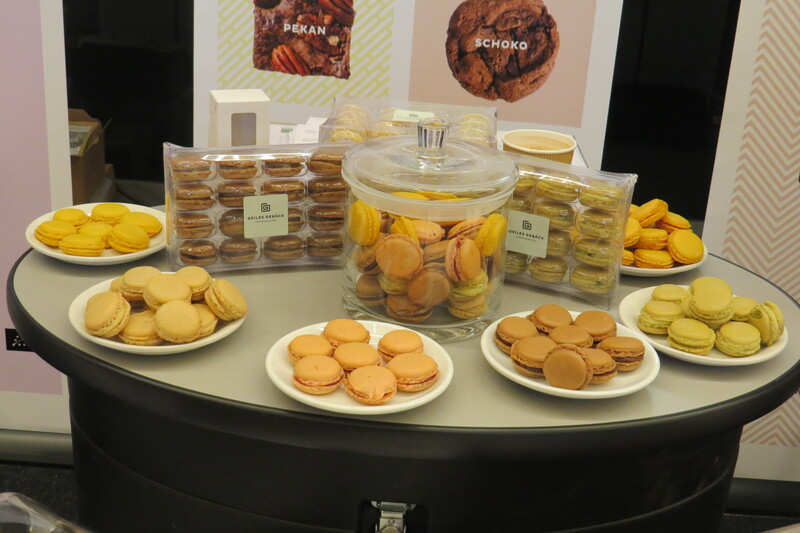 The range includes decadent brownie squares, soft and chewy American cookies and delicate, crispy French macarons. 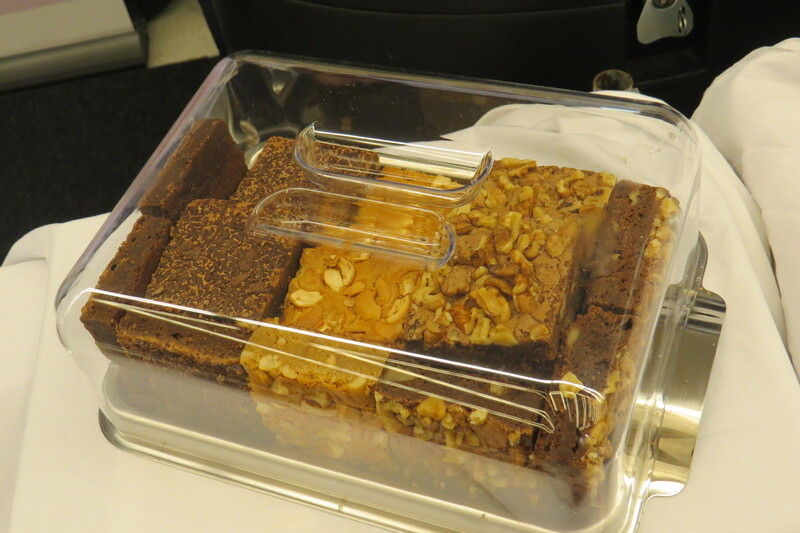 The cookies and brownies are mostly made with super-healthy spelt flour (and they still taste marvelous!) 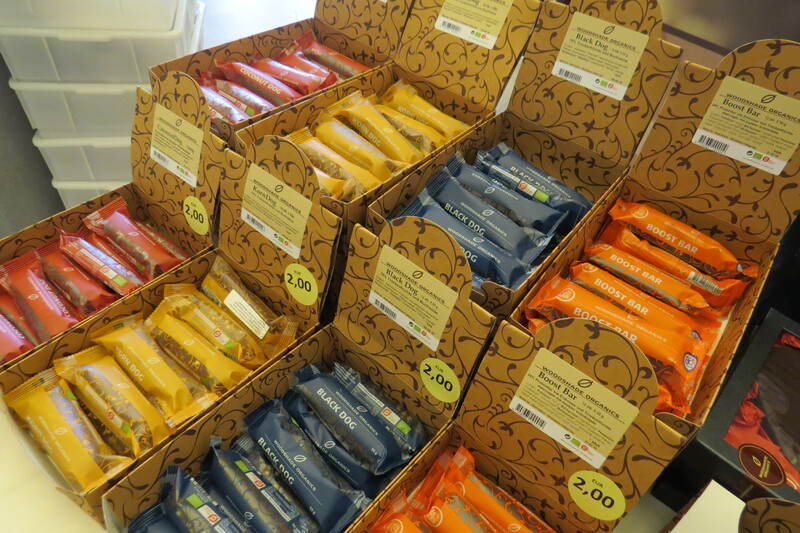 and the range includes nine varieties: two brownie and two cookie varieties are vegan, the others are not. But all are equally delicious – and I tested every single one of them! Also, as a passionate baker I pride myself on having a discerning palate as far as baked goods are concerned. And frankly, I was impressed. A few exhibition stands away was Juvin Oils, a company specializing in unusual and rare edible oils. 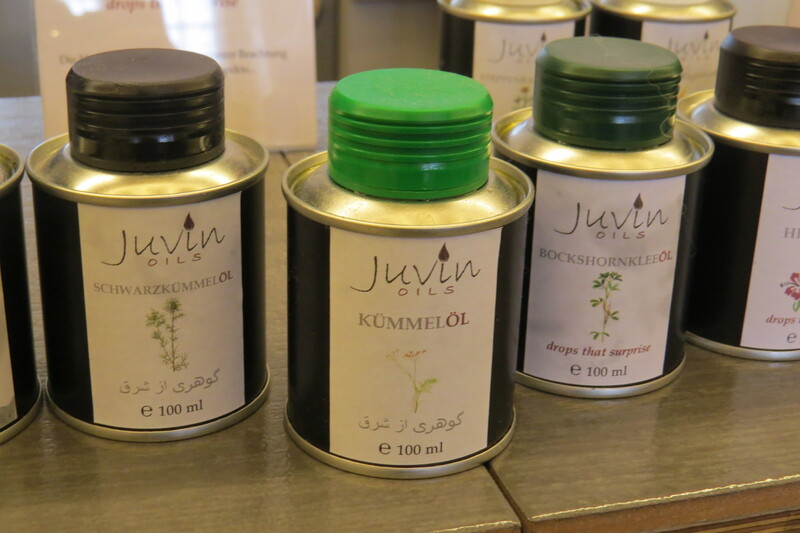 Juvin was founded in April 2014; they import their oils from Iran and their range includes some 28 different varieties. 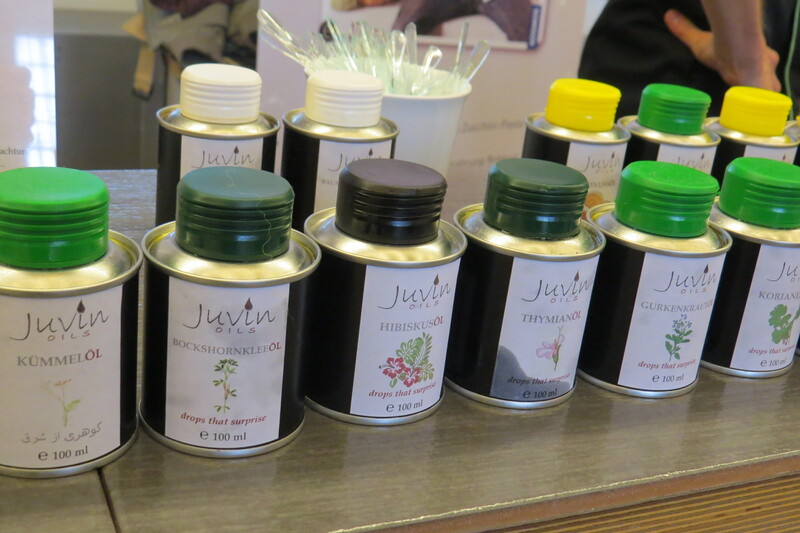 Although Juvin sells well-known and commonly available oils like olive, walnut, peanut, hazelnut, apricot kernel, sweet almond and so on, I was intrigued by their more unusual variants – the line-up also features cinnamon, chamomile, cumin, thyme, basil, coriander, clove, cottonwool seed and coffee oil! 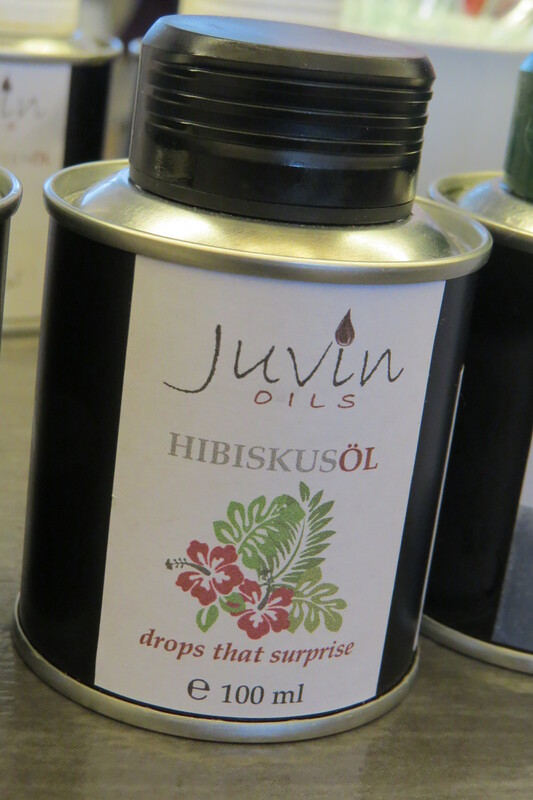 All Juvin oils are cold-pressed and have a highly concentrated flavor. What I particularly liked is that none of the oils include any carrier oils – flavoured oils are often made from herbs and spices macerated in basic olive or soy oils, or they are heavily diluted with cheaper oils. However, the Juvin cinnamon oil is extracted from cinnamon bark, the coffee oil comes from the green coffee cherry, and the clove oil is pressed from actual cloves. Because the company is new, their distribution is still limited but you can order the oils through their website (100ml are around 15 Euro, depending on the variant). Which I might just do at some point; I really fell in love with the clove oil! 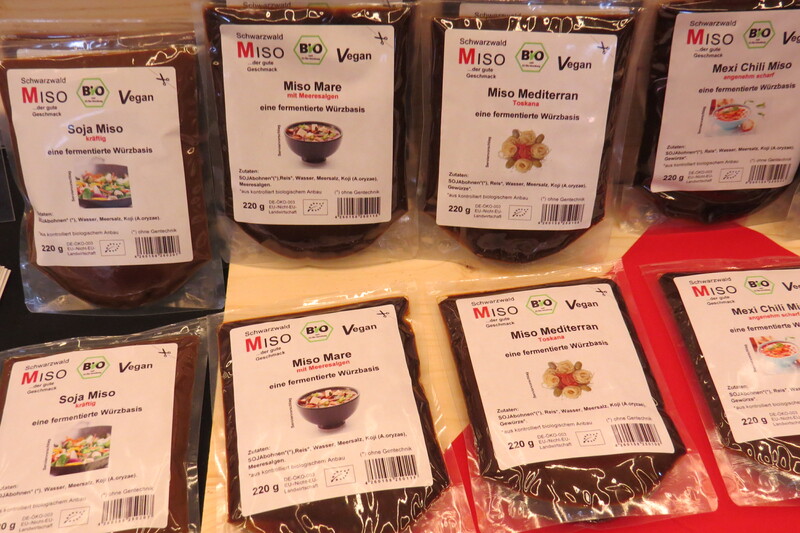 Let’s stay savoury for a moment and visit Schwarzwald Miso (literally “Black Forest Miso”). 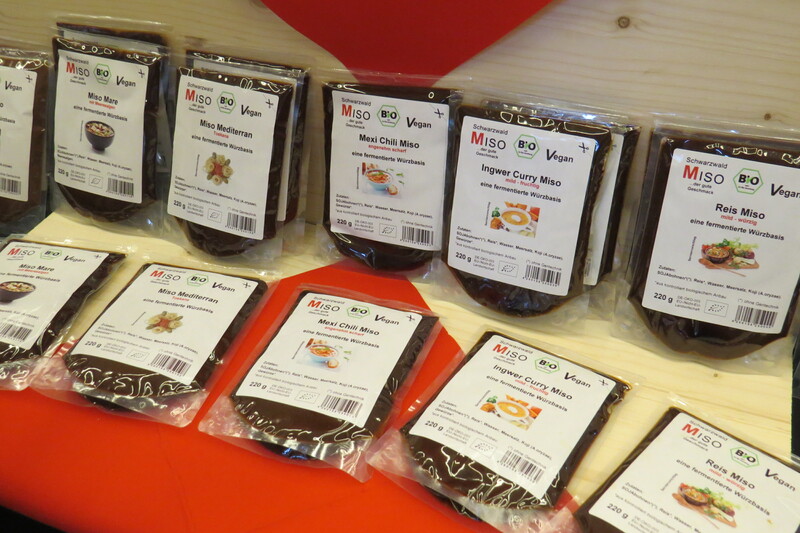 Schwarzwald Miso is one of the four winners of the Next Organic Start-Up contest 2015. This company produces miso paste made from rice, soybeans, barley and lupine. Miso is a fermented bean-based spicy paste most commonly used in Japanese cuisine. 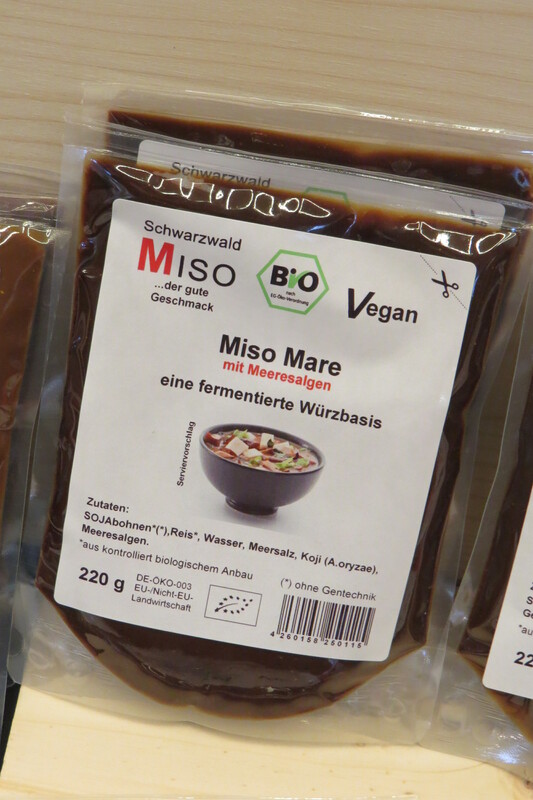 Schwarzwald’s miso is made according to the traditional Japanese miso production process (veeeery slow fermentation which can take up to three years). 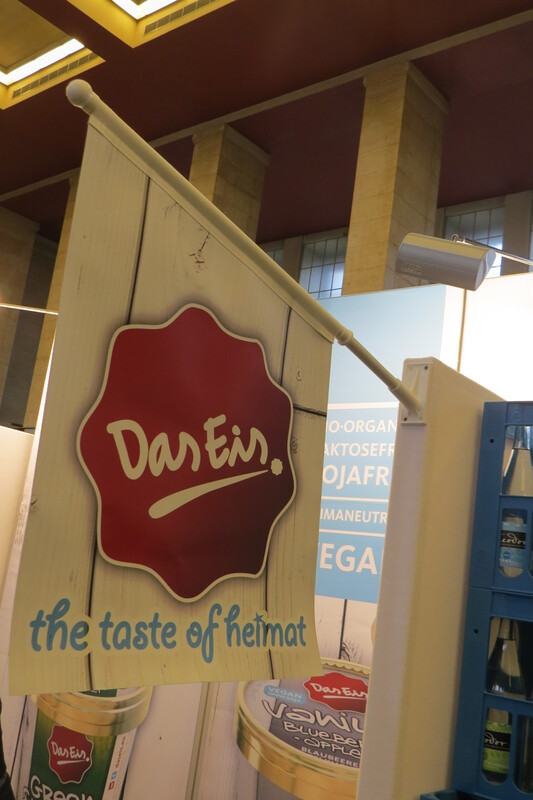 However, in a nice regional twist the company uses Black Forest spring water and although their rice comes from Italy, the soybeans, barley and lupine are sourced from various German regions. An Asian product made with regional ingredients! Organic and GMO-free, the Schwarzwald range includes Rice Miso, Mexican Chilli Miso, Ginger Curry Miso, Mediterranean Miso, Mare Miso (made with sea algae), Soy Miso, Lupine Miso and Barley Miso. 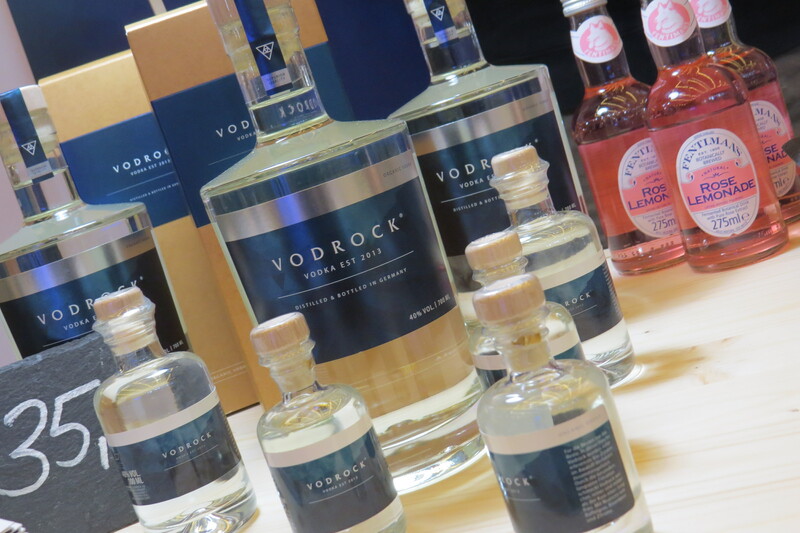 The Black Forest is also home to an interesting organic vodka brand: Vodrock is produced in the Black Forest region in Lower Bavaria with regional spring water and has subtle notes of bisongrass, musk mallow seeds and lemon. I had a sip of Vodrock and although I’m not much of a Vodka fan I liked the clean and soft taste. And the super-stylish bottle! 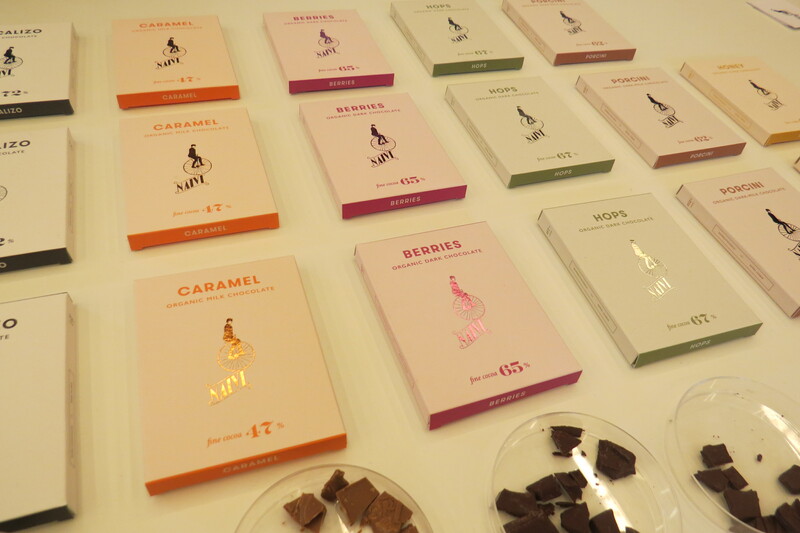 Jumping back into confectionery, one of the Next Organic 2013 Start-Up winners was bean-to-bar chocolate manufacturer Naive from Lithuania. This year, Naive received another award for their latest chocolate project, Mulate. Mulate is a collection of five spectacularly packaged chocolate bars: dark milk chocolate with tahini and roasted sesame seeds; dark milk chocolate with peanuts and salts; dark chocolate with cinnamon, vanilla and pepper; dark chocolate with sea salt; and a pure 88% bitter chocolate bar. I forgot to take a picture of the Mulate chocolates – see above for a pic of the Naive collection. Naive is also pretty unusual: the line-up includes a 67% dark chocolate bar with forest honey, 54% dark milk chocolate, 67% dark chocolate with porcini mushrooms, 65% dark chocolate with berries, 67% dark chocolate with hops and a 38% milk chocolate with salted caramel. In addition to regular limited editions. 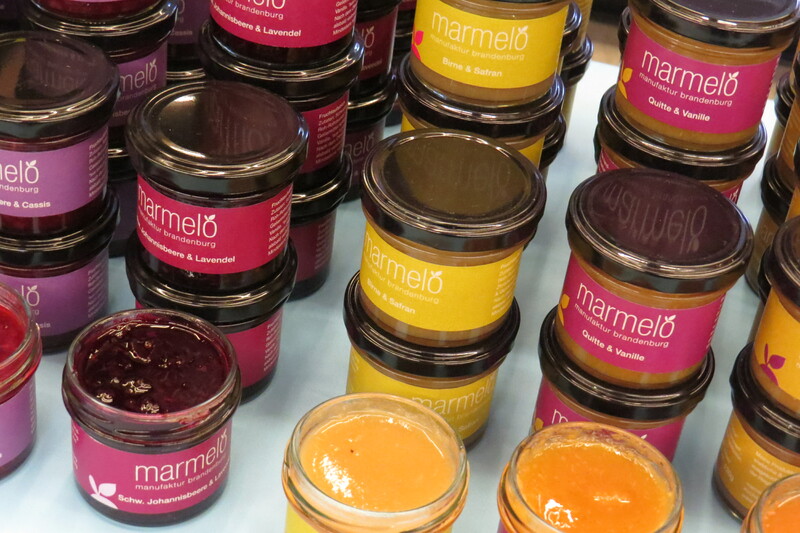 And Marmelo is a charming jam manufacturer from the little town of Rheinsberg near Berlin. The company was founded by Katrin Wagner who makes all sorts of fruit and vegetable spreads, fruit butters and caramel spreads. Wagner’s range includes delectable and unusual varieties such as plum & nut butter, quince & vanilla fruit spread, mirabelle & bitter orange, pear & cardamom, blueberry & lavender and lemon & lime spread. Delicious. Das Eis. The Taste of Heimat is an organic ice cream brand – they do frozen yoghurts, sorbets, ice cream and vegan ices and have a great line-up of flavours. I love unusual sorbets and am therefore especially impressed by the brand’s sorbet variants which feature Raspberry, Beetroot & Ginger, Plum & Acai Berry, Quince & Lemon, Raspberry & Elderberry, Pineapple & Parsley and Apple & Nana Mint. Their latest sorbet launch – which also received a Best New Product Award at this year’s Biofach trade show – is Green Smoothie Sorbet, an amazing blend of fruit and vegetables including pear, apple, spinach and green cabbage. The flavours of the vegan ice creams – which are soy-free and made with oat milk, rice milk and hazelnut milk – are also delicious: Double Nut (Hazelnut & Salted Peanut), Choco Cookie Dough, Vanilla Blueberry & Apple Pie and Orange & Almond.